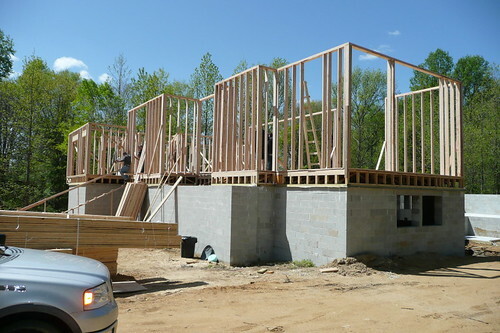 Continue reading "Ground Zero for Modern House Plans"
The carpenters are at it now and the house is framing up very quickly. 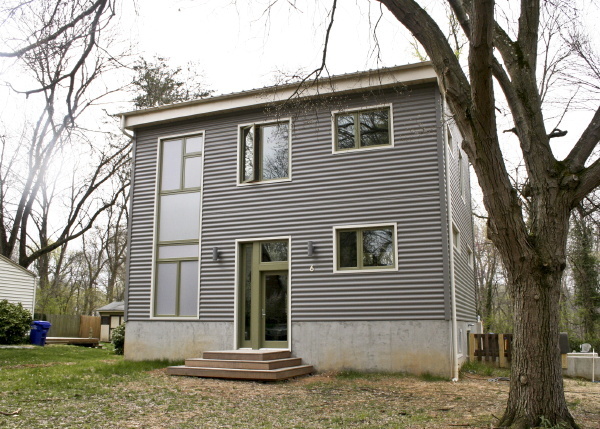 Continue reading "0751 RS House - carpentry moves fast"
Its spring, its dry(er), and work has resumed on this great modern house. 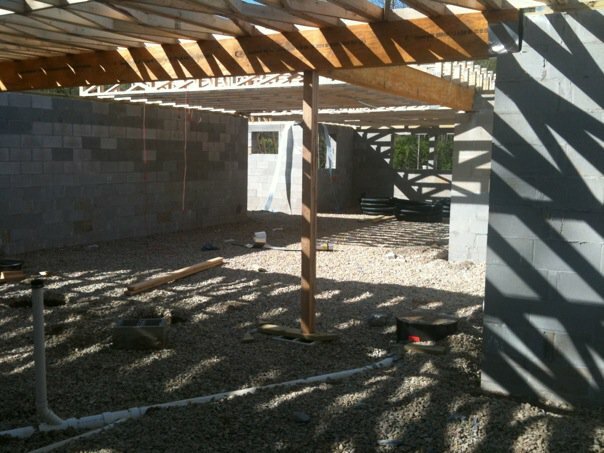 Framing has begun which means we will see something looking a lot like a house very soon. 0751 RS House. Note, plans for this house design are a bargain. We offer house designs like this one, originating from a local custom design, which are not part of our other collectcions at a much lower price. Check it out. Continue reading "0751 RS House - work resumes"
Its official, the 3030 House in Cabin John Maryland is done, lived in, construction is finished. What awaits is the owners recovering from construction and enjoying some love and care, making gardens, and claiming their site back from the piles of panels and the all terrain fork lift. We will see more photos of it in the future when they have had a chance to settle, plant, nurture, furnish, and are ready to explode with pride - we can't wait. Enjoy! Continue reading "3030 House - done"